[Satnews] The Nordic IoT Challenge is an initiative to recognize innovation and excellence within the Internet of Things (IoT) arena. Today Telenor Connexion announced the top three finalists. Telenor Connexion is awarding a total of € 25,000 to support the most innovative projects that contribute to a connected, smarter, and more sustainable world. The 2015 Challenge was open for submissions through August and September, encouraging individuals, teams, and startups in the Nordics to enter. Hidn Tempo; Stockholm, Sweden, A wearable interactive stress coach that helps you change behaviors. Minealyze; Gothenburg, Sweden, Shaping tomorrow´s exploration process in the mining industry. FarmDrones; Gothenburg, Sweden, A connected solution for farmers to increase productivity and crops yield. The winner of the Grand Prize of €25,000 in addition to other prizes will be announced on October 21st at the Digital Winners conference in Oslo. Digital Winners is the Nordic region’s premier gathering of leaders and innovators in media, technology and communications. 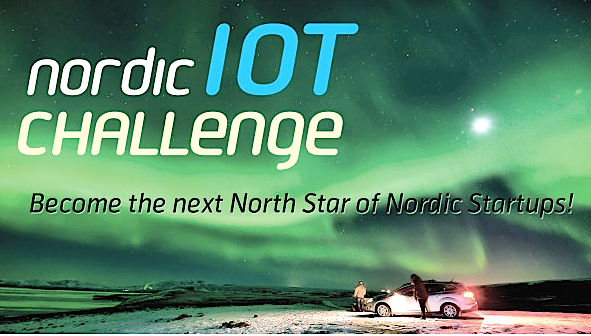 The 2015 Nordic IoT Challenge generated entries from all five Nordic Countries—from Rekjavik, Iceland in the West to Järvenpää, Finland in the East, and from Trondheim, Norway in the North to Roskilde, Denmark in the South. Additionally, proposals ran the gamut from IoT innovation in industrial sectors to wearables and from medical devices to smart city developments. According to Telenor Connexion the amount of viable entries was highly encouraging. “We are thrilled about the engagement and innovation power across the Nordic region in utilizing connected technology to create smarter and more sustainable solutions. Ideas, concepts and ready-made products from a wide variety of segments and industries have been screened to single out 3 strong finalists”,says Per Simonsen, Senior VP, Internet of Things, Telenor. BioSpike; Oslo, Norway, Measurement of local growing conditions to improve productivity for farmers in emerging markets. Imagimob; Stockholm, Sweden, An artificial intelligence system that recognizes and understands movements. Point; Malmö, Sweden, An intelligent sensor that looks after your home. Telenor Connexion thanks all entrants and everyone who helped make the inaugural Nordic IoT Challenge an immense success. More information on the contest itself here: nordiciotchallenge.com.